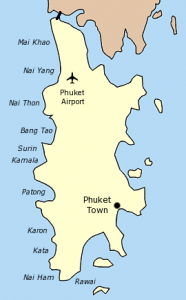 Phuket, is Thailand’s largest island. 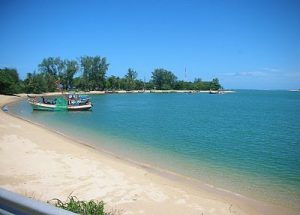 It is 48 km in length, 21 km at its widest, and is in Southern Thailand, on the west-facing Andaman Sea coastline, suspended from the southern tip of Phang Nga Province by a pair of short but substantial road bridges. 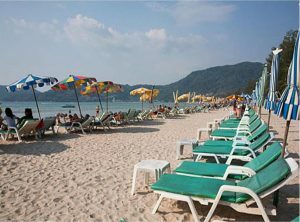 HOLIDAY RENTALS at Patong Beach in Phuket Thailand Accommodation. Score from 193 reviews: Very good 8.3 There are 8 people looking at this resort. Located in Patong Beach area, the Charm Resort Phuket offers free Wi-Fi access in all areas. The resort also has an outdoor pool and fitness centre. A 45-minute drive from Phuket Airport, the resort is 60 metres away from the famous Patong Beach in Phuket. Guests can also enjoy shopping at the Jungceylon Mall, which is just a 5-minute drive from the resort. The air-conditioned room is equipped with flat-screen TV, minibar and kitchenette. Each guest room has en suite bathroom, featured a shower, separate bathtub and free toiletries. Guest can find other services such as tour desk, luggage storage and a laundry. Free parking is available. The Charm Restaurant serves Thai and International dishes all day. 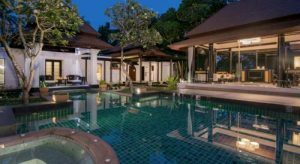 Banyan Tree Phuket 33/27 Moo 4, Srisoonthorn Road, Cherngtalay, Amphur Talang, Phuket, 83110 Bang Tao Beach, Thailand Accommodation. Score from 193 reviews: Fabulous 8.8 There are 11 people looking at this resort. Spacious villas feature open-air jet pools set in landscaped grounds. Guests can enjoy relaxing massages and the use of tennis courts and fitness facilities. Providing concierge services, staff can attend to business and travel needs. Thai specialties are served in the elegant environment of Saffron while hearty buffets are available at Watercourt. There are 2 bars, a café and 24-hour room service. Set within the Laguna Phuket resort complex, Banyan Tree Phuket is a 20-minute drive from Phuket International Airport and a 30-minute drive from Patong Beach. Free parking is available. 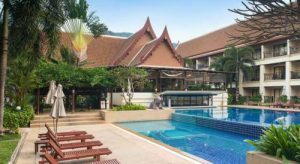 Deevana Patong Resort & Spa 3 stars Accommodation. Surrounded by tropical gardens, Deevana features rooms with garden or pool views. It also houses an outdoor pool and a spa. Free WiFi is available in all areas. It also houses an outdoor pool and a spa. Free WiFi is available in all areas. Deevana Patong Resort & Spa is only a 5-minute walk to Patong Beach and 10 minutes away from Bangla Road. A free shuttle from Deevana to Patong Beach is also available. Fitted with tiled flooring, air-conditioned rooms at Deevana Patong feature a flat-screen TV with international channels, a minibar and tea/coffee making facilities. The en suite bathroom includes a shower, slippers and free toiletries. Guests can exercise at the Deevana Patong Resort & Spa’s fitness centre or make travel arrangements at the tour desk. Breakfast is served at Dalah Restaurant, while lunch and dinner are served at The Balcony. Drinks and light snacks are offered at coffee corner and pool bar. Originally a fishing village, currently Patong is Phuket’s most developed beach offering virtually every kind of entertainment imaginable. 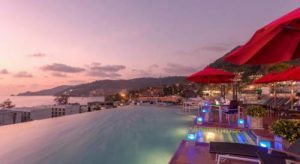 Exuberant nightlife and numerous Patong Beachleisure, sporting, shopping, and recreational options flourish along its three kms of beach. The beer bars cater to every interest and nationality with charming hostesses to entertain, and all play video movies and music so loud that when several are clustered together it can be deafening. There are also massage parlors, travel agencies, car and motorcycle rental agencies, coffee shops, discos, nightclubs, cocktail bars, and virtually every other form of enterprise designed to separate tourists from their baht. 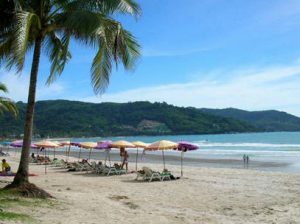 For those determined to party until the water buffalo come home there are few better spots than Patong Beach. Bang Tao is a large open bay with one of Phuket’s longest beaches. Take A Break Holidays takeabreakholiday, Phuket Accommodation.